In the spirit of Halloween, we've compiled a list of the seven creepiest bird species we could find, from species that are vicious and violent to those that are just plain scary to look at. 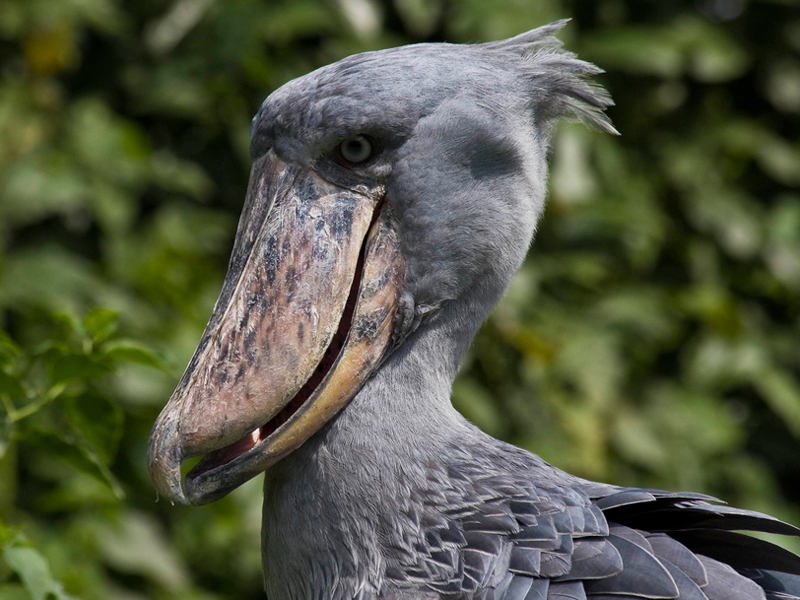 The Shoebill Stork, also called the Whalehead Stork, is found in East-Central Africa. Shoebills can grow up to 55 inches (around 4 ½ feet) tall and use their huge bills to hunt for snacks such as lungfish, snakes, and even baby crocodiles. 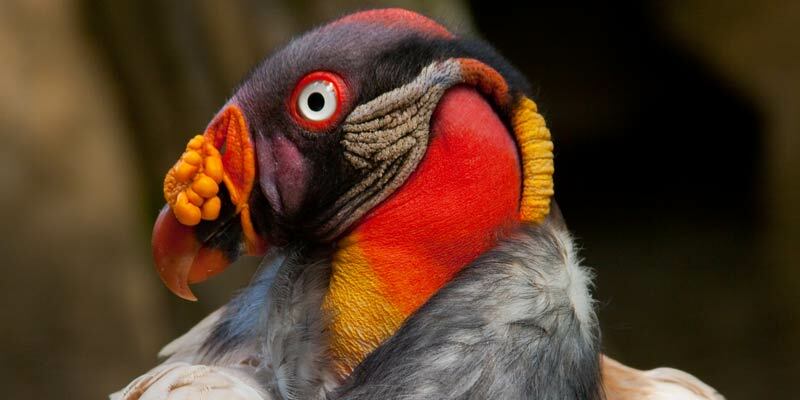 ​The King Vulture, found from Mexico to Argentina, lives up to its name as king of the scavenger birds. Its strong hooked beak is the ideal tool for ripping into tough carcasses, giving the King Vulture an advantage over other scavengers. Capable of growing to a massive 66 inches, the powerful Marabou Stork towers over other bird species. Like many storks, the Marabou is a scavenger, and it’s strange, featherless head is an adaptation to avoid messy plumage when feeding on animal carcasses. The Marabou Stork will eat anything it can get its claws into – including human garbage such as shoes – and if harassed will lash out. Reports of children being killed by Marabous are not unheard of in its native southern Africa. The Andean Condor is a national symbol of Peru, Ecuador, Chile, Argentina, Bolivia, and Colombia. 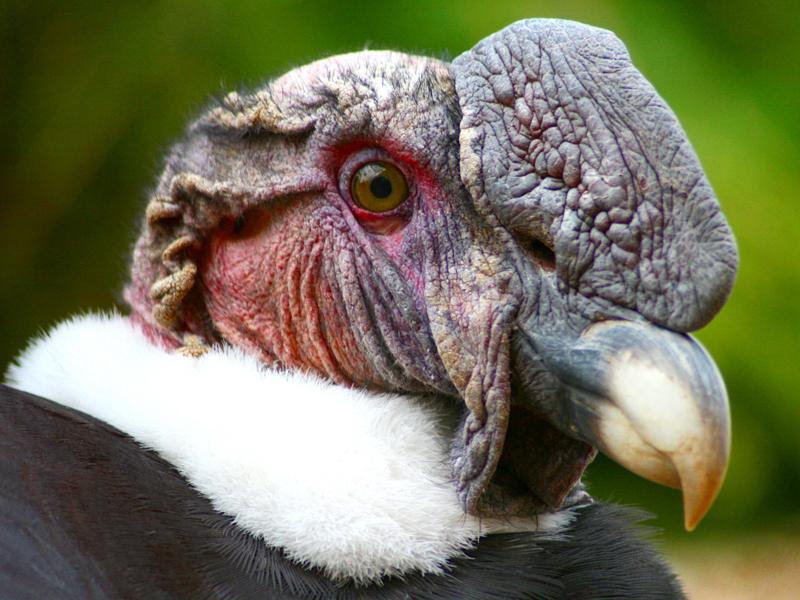 Like most vultures its head and neck are almost featherless, but in addition the Andean Condor’s skin changes color in response to its emotional state. The huge wingspan of the Andean Condor allows it to soar for long periods of time without flapping its wings. Found in the Australian rainforest, Cassowaries are shy and solitary birds that feed on fruit. Though from afar the Cassowary may seem harmless, when disturbed by humans it responds by violently attacking with kicking and clawing — often until killing its victim. 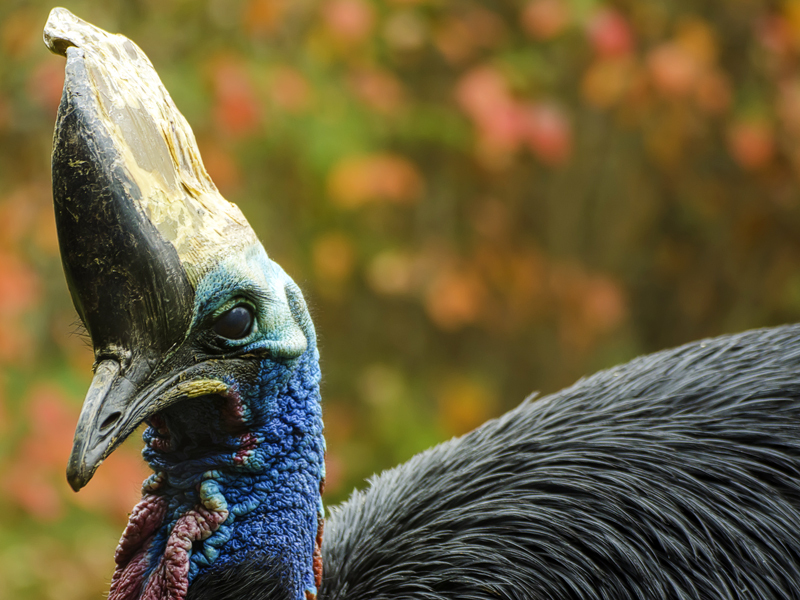 Reputed as the world’s most dangerous bird, Cassowaries are very difficult to keep in zoos because of frequent attacks on zookeepers. Though they may not look as scary as the others on our list, Great Skuas are equally terrifying for their violent personalities. 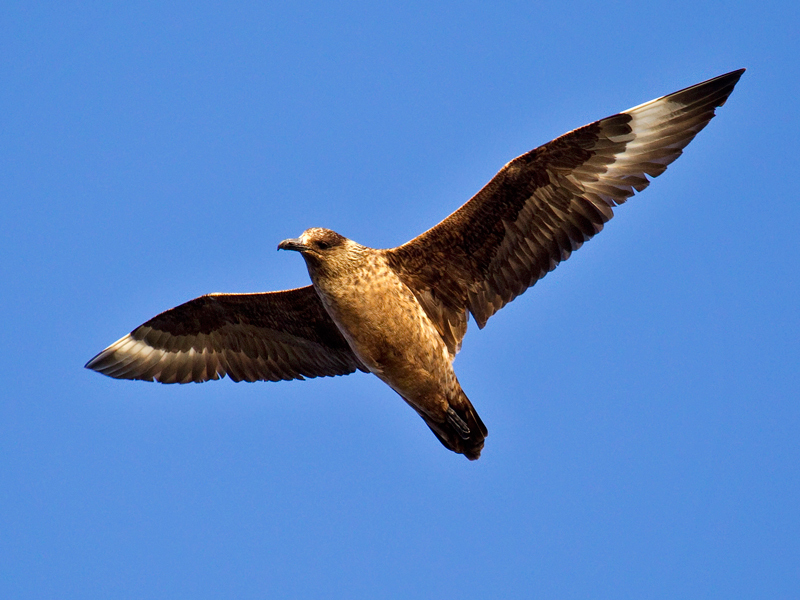 When hunger hits, skuas don’t hesitate to violently attack other birds and steal their catch. If a stolen fish isn’t filling enough, the Great Skua will kill and eat other bird species such as puffins and gulls. The Great Potoo is a nocturnal species that spends its days camouflaging itself while perching on tree branches. At night, the Great Potoo’s distinct and unsettling call permeates forests across Central and South America as it hunts for rodents. 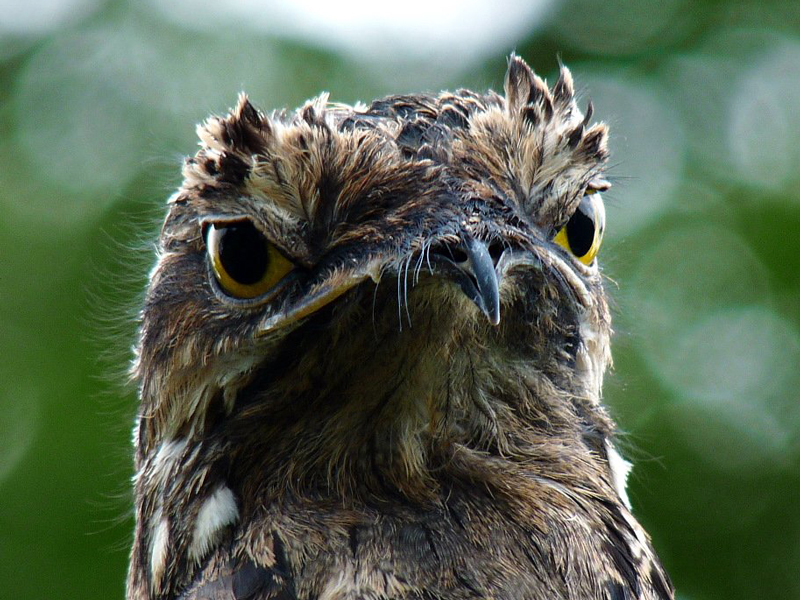 Its eyelids have adapted with tiny holes in them, allowing the Great Potoo to see everything at all times, even with its eyes closed. Did we miss any other scary birds? Leave your scary species suggestions in the comments. If you want to see these scary species (and some beautiful species too) in person, visit our website to view our birding tours. Join birders all over the world for the 18th annual Great Backyard Bird Count from February 13-16, 2015! When most people think of penguins, they think of the cute, little birds in tuxedos that frolic in the lands of Antarctica.